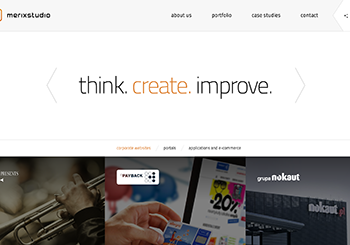 Merix Studio is a creative website design agency based in Poznan, Poland. Since 1999 we take pride to build functional & super-awesome-looking websites and applications. We ♥ opensource. With a new identity of Merixstudio we wanted to emphasize core principles: simplicity, UX-centered approach and rock solid front/back-end coding skills.